HomeBlogBlogAre You Ready to Retire at Age 65? For many years, the desired age of retirement was age 65 with many people trying to save, plan, and prepare so they could finally exit the workforce and enter into a new stage of life. However, more and more Australians will not retire at age 65 as many plan to work past age 70, which is largely due to the fact that generation X-ers and Baby Boomers feel they that they are not financially secure enough to leave the workforce any sooner. If you’re an Australian baby boomer or a generation x-er, this may sound like a familiar story. Many people who had intended to retire much earlier on in life are now not able to due to the fact that retiring comfortably before age 70 is no longer a possibility for many Australians. According to one of the most recent studies conducted in 2015 by the Australian Bureau of Statistics*, approximately 35% of the 3.8 million people in the workforce did not know when they were going to retire, and 23% of the remaining 65% asked planned to retire at age 70 or older. This number has increased from 8% to 23% in less than a decade. There is a multitude of reasons why more Australians do not see themselves retiring by the age of 65, and not all of the reasons are necessarily negative. For example, senior’s groups state that more people are aging much healthier than before and that more people are in general living longer. This is not necessarily a bad thing, but many express the financial uncertainty felt by our older working population, and of course, the regular waves of changes to superannuation and pension has greatly contributed to the uncertainty. Earning a lower salary is perhaps one of the main reasons why so many people feel that retiring earlier than age 70 is just not possible. Earning 9% on low wages does not help superannuation build and putting extra funds aside is not always possible when a person earns a low salary. Many Australians at age 45 have less than $100,000 in their super, making retiring anytime soon (or even comfortably) seem nearly out of reach. Additionally, increased property prices have been forcing more Australians to hold off on buying property until later on in life, causing many to retire with a mortgage payment. In general, the cost of living has increased, and when you’re earning a lower salary, putting a little extra aside just may be not an option. Another thing to consider is that many Aussies feel they will live much longer than they had once expected, making many feel they have the energy and stamina to work longer than they once thought possible. While longer life expectancies are definitely a positive, it could be stopping some from getting serious about putting extra funds aside for retirement until later on in life so they can enjoy life in the present. How Much Money Should You Have in Super? 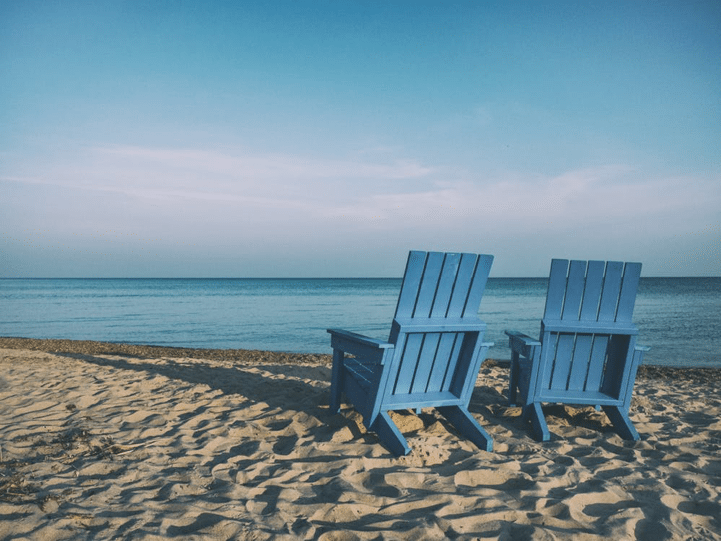 In a recent post, we talked a little about what a single person or couple needs to retire comfortably. According to ASFA, a couple needs roughly around $60,000/year to retire comfortably. If the couple plans on living for another 10 to 15 years past their age of retirement, they would need anywhere from $600,000 to $900,000 in super in order to live comfortably in retirement. The question is, how many Aussies are on track for a comfortable retirement? If we also take a look at ASFA’s numbers for a single person to retire modestly, they would need approximately $25,000/year. Let’s say they plan on living for an additional 10 to 15 years past retirement, they would need to have at least $250,000 to around $375,000 in super in order to achieve a modest retirement. These figures do not include much of a buffer in case a person lives an additional 20 – 25 years past retirement or should an emergency situation arise as these are just bare minimum dollar amounts. With many Australians at the age 45 struggling to reach the $100,000 in super mark, is a modest retirement even attainable? Of course, it is not always easy to know exactly how much we should put aside, but we can use retirement planning tools such a retirement planning calculator to help give us a rough idea on what to plan for. The next best thing we can do is sit down and figure out how much extra we can contribute (without sacrificing today’s living expenses) to our super or another investment savings account. Adding extra may be necessary for many people because chances are, the 9% co-contribution (expected to increase to 12% in 2019), will most likely not be sufficient on its own to reach the desired retirement amount. When it all comes down to it, the individual or couple planning their retirement living and expenses may want to consider factoring in all possibilities when aiming to reach a certain retirement savings goal. For example, medical costs, the lifestyle a person wants to live, and also how long a person plans to live. The last possibility is hard to project for obvious reasons, but over estimating this number is better than underestimating and finding ourselves living in poverty due to insufficient planning. Read More: How Well Do You Know Your Super? Do you feel like you are on track to retire at age 65? Or, are you on track to reach your retirement goals? If so, we know these are not easy or simple achievements, especially in today’s changing world and economy. However, if you find yourself struggling to reach your financial goals for any reason, you may want to consider sitting down with one of our financial planners on the Sunshine Coast and see if they can help you turn things around. Finance professionals have the experience, training, and tools to help you make take the necessary steps towards securing a brighter financial future.